Many entrepreneurs launch businesses because they’ve identified a problem that they just cannot leave unsolved. Dr. Enokela Moses is a Microsoft #Insiders4Good Fellow and a sonologist specializing in diagnostic imaging for pregnant women. As a physician in an urban hospital in Nigeria, he often saw pregnant women arrive from remote areas to receive care only when it was too late. According to Moses, the chances of a woman dying in pregnancy or childbearing in Nigeria is 1 in 13, with the vast majority of deaths occurring in low-resource, rural areas where there are no doctors and medical equipment. Women who live in such areas have few options when it comes to receiving prenatal care. The nearest hospital could be very far away, and poor women have few means to travel such distances. 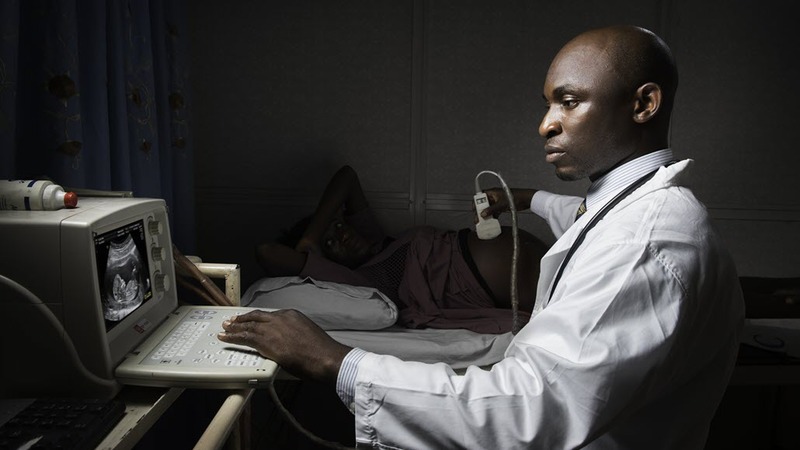 Determined to tackle this challenge, Moses launched SonoCare, a startup that deploys a mobile unit to rural areas, bringing diagnostic imaging and exam services to the pregnant women themselves. SonoCare partners with local healthcare centers to fill the gaps in their capacity and reach patients in need. By the time SonoCare’s mobile unit received the woman, one of the twins was exhibiting a life-threatening abnormality. But fortunately, by discovering the abnormality in time, the team was able to implement a treatment plan and the fetus survived. Dr. Enokela Moses was awarded a Microsoft #Insiders4Good Fellowship, part of a new initiative at Microsoft designed to support promising entrepreneurs with extraordinary solutions to social problems.